If you recall, last week I kicked off a series of posts where I’m talking about Progress. I said that, despite thoughts to the contrary, Progress was not, in fact, a linear progression from point A to point Z. Oh you still get from point A to point Z, but the path you take to get there can be – and often is – a twisty, eely, curvy, thing that is never the same route twice. This week is all about Editing Progress. So what is Editing progress? For that matter, what is Editing? I’m going to slip into metaphor here for a bit with the advance warning that it will soon fall completely apart. You have been warned. Ready? The entire process of crafting a story – start to finish – can be compared (loosely) to sculpture. I’m talking large-form sculpture here. Real Statue of David kind of stuff. Drafting your story can be compared – startlingly closely – to procuring a 10 ton block of marble, and moving it into your studio. By yourself. Sure, you’ve got tools, but getting that massive, unwieldy, chunk of rock right where you want it, that’s all on you. You want to take a bit of a breather. When you come back, you’re ready to begin editing. Like sculpture, you start the process with a hammer and chisel or, maybe, a concrete saw. You’re knocking off great chunks of things that don’t belong there. Passive voice, clunky dialogue. “Those damned, said bookisms,” he said angrily. That character that died fifty pages ago, only to mysteriously come back to life…to be killed again. All of that stuff needs to go. Chisel it right the hell off of your story. Now here’s where the metaphor falls apart. I told you it was coming. The editing process is also where you add stuff – which, as far as I know, cannot be done in sculpture. You add in more world building, you flesh out character arcs, you fill in plot holes, you realize that you have turned off the heat on your characters and, in correcting that, you’ve broken something else. Fixing that, breaks something else and, before you know it, you’ve added 5 or 6 additional chapters that simply weren’t part of your original 10 ton block of marble when it arrived. So what do you call Progress during this phase? How can you measure what you’ve done when, at the end of 2 hours of editing, your net word count is -12? The first is to take a look at your drafting speed. How many words per hour can you get down while you’re drafting? I know this number is going to vary. Some days, I’ll knock out 200 words an hour, other days I’ll fall into the zone and end up with 700 words, or more. The idea is to get an average – and be honest. For me, that average is around 450-500 words. So, if I’m focusing on word count, I can say fairly honestly that an hour of editing is roughly equivalent to 450 words (I usually round down). Another way to look at it is in terms of overall pages. One of the first things I do when I’m prepping to edit is to print out a copy of the story. I do this regardless of length, and I do it for two reasons. The first is that changing the medium by which you read your story, also changes the way that you read the story. At least it does for me. When I’m holding a page in my hand and reading from it, I catch things that have slipped by me while reading on the screen. The second reason is that I can make notes directly on the page Without being tempted to correct them right there! This pulls me away from the larger picture mindset that I have while reading and drops me on a more granular level that I don’t want to be at yet. Personally, I prefer to mark my progress by pages while I’m editing. For me, word count is part of the drafting phase and if I see that I’ve progressed “Backwards” by 500 words, after an editing session, I feel discouraged, even if I’ve somehow managed to edit what I was working on brilliantly. And that’s editing progress: Taking your newly arrived hunk of marble and chipping away at it in places, adding more marble in other places (I did tell you that the metaphor would fall apart), so that by the end of that first pass – and there may be many to follow – your story has definition. A shape that you will continue to bring forth in subsequent editing passes. Next week, we will put away the heavy tools and talk about revision. 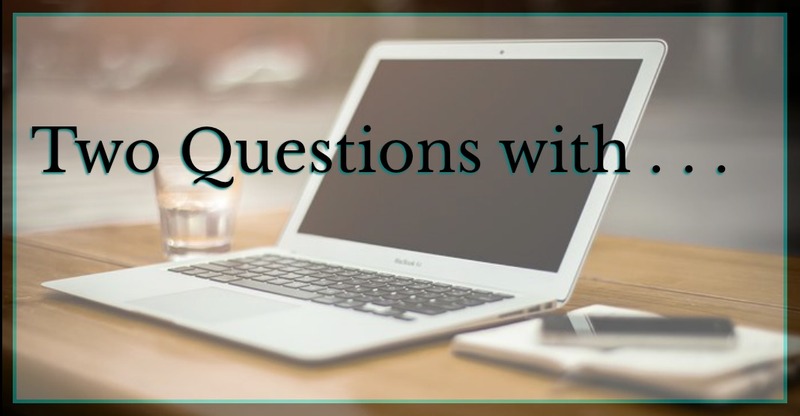 Also, be sure to check out the Events page for the Two Questions With… blog tour schedule, that I will be a part of for the next three weeks.